Fifty to 90 percent of women spend some part of their early pregnancies sick to their stomachs, and what begins as simple nausea can become dangerously debilitating. Some expectant women use ondansetron for only a few days; Smiley took it two or three times a week into her second trimester. In her fifth month, an ultrasound showed that the left side of her baby’s heart was critically underdeveloped. Three days after her son, Zaidan, was born in April 2014, cardiologists at the University of Alabama Hospital in Birmingham performed open-heart surgery, but a blood clot caused the baby to have a heart attack and his kidneys began to fail. Somehow Zaidan hung on: At two months, he had a heart transplant; at four months, he went home. Smiley was torn between feeling extraordinarily lucky — Zaidan was her “miracle baby” — and blaming herself for his suffering. As his first birthday neared, one of her coworkers mentioned she’d seen TV commercials by a law firm claiming that Zofran might cause serious congenital heart problems and other birth defects. What happened: Developed in West Germany in the 1950s, the drug was soon linked to miscarriages and devastating birth defects, including limb deformities. At least 10,000 “thalidomide babies” were born around the world before the drug was banned in the early 1960s. The US escaped largely unscathed thanks to FDA medical officer Dr. Frances Oldham Kelsey, who refused to approve the drug without sufficient safety information. The aftermath: Spurred by the crisis, the US government passed amendments in 1962 that require drug manufacturers to prove their products not only safe but effective, too. Thalidomide later re-emerged as a treatment for leprosy. How it was used: Introduced in 1938 as the first synthetic form of estrogen, it was prescribed to prevent miscarriage, premature labor and related pregnancy complications—even though clinical trials in the 1950s showed it was ineffective. What happened: In 1971, medical studies found that women exposed to DES in utero (“DES daughters”) were at heightened risk for developing clear cell ardenocarcinoma, a rare vaginal cancer. The FDA warned against its use, but by then, up to 10 million women and children had been exposed. The aftermath: Women who took the drug have a heightened risk of breast cancer, as do their daughters (who also have higher rates of infertility, pregnancy complications and reproductive abnormalities). DES sons are at higher risk for non-cancerous testicular growths. Thousands of lawsuits have been filed, totaling billions of dollars. What happened: Close to 33 million women worldwide took Bendectin over nearly three decades. But after families started suing for alleged birth defects in the 1970s, the manufacturer’s insurance premiums soared, and Merrell Dow voluntarily withdrew the drug in 1983. The aftermath: In the wake of the lawsuits, Bendectin became one of the most-studied drugs in pregnancy. The combination of doxylamine/vitamin B6 was found to be safe, and in 2013, the same basic formula, renamed Diclegis, won FDA approval once more. Bendectin’s most important impact, though, may be in the courtroom: In 1993, in a case called Daubert v. Merrell Dow, the U.S. Supreme Court issued sweeping limits on expert witnesses and “junk science” that affected many areas of the law. What happened: Introduced in 1971, the intrauterine device was used by more than 2 million women in the US and 4.5 million worldwide. But design flaws made its users susceptible to acute pelvic infections and spontaneous abortions, leading to hysterectomies and at least 18 reported deaths. The aftermath: Manufacturer A.H. Robins suspended sales in 1974 under pressure from the FDA, but didn’t recall the device, leaving thousands of women at risk. Robins eventually declared bankruptcy, 300,000 women filed claims, and lawyers hammered out a $3 billion settlement. The disaster fueled efforts to better regulate the medical device industry. It also discouraged a generation of women from using IUDs. How it was used: Approved by the FDA to treat asthma, bronchitis and other lung diseases, it was used off-label to stop premature labor, even though studies eventually concluded it was ineffective. What happened: In 2011, the FDA warned there was a risk of heart problems and even death for pregnant patients who were administered certain forms of terbutaline over an extended period (longer than two to three days). The agency said it had received reports of 16 deaths and 12 serious heart issues associated with prolonged use of the drug. The aftermath: It’s still being used for to prevent preterm birth, but in much more controlled settings (i.e., not at home). A healthy baby is the universal goal of pregnancy, shared by women and doctors, researchers and regulators alike. The nine months from conception to birth are extraordinarily dynamic and complex, and the complications that arise can have lifelong effects. There’s a critical need for knowledge about almost everything, from environmental causes of birth defects to how the mother’s preexisting medical conditions can affect her baby’s well-being. Yet the same desire to protect the fetus often deters scientists and drug makers from studying the expectant mother. When it comes to drug safety, pregnancy is a largely research-free zone, women’s health experts say. The consequence? Treatment that often is based on informed guesswork rather than solid evidence, in which medications that have never been approved for use during pregnancy, and whose long-term dangers may not be known, become the standard of care. Zofran is a case study in just how problematic this system has become. Zofran is far from unique — almost every drug prescribed during pregnancy in the U.S. is “off label,” meaning it hasn’t gone through the clinical trials required by the Food and Drug Administration before approving a drug for a specific use in a specific population. Only eight medications are currently approved by the FDA for prenatal use; from 1995 to 2011, the agency OK’d only one pregnancy-related drug. (By contrast, 29 drugs to treat cardiovascular-related conditions have won approval just since 2010.) Pregnant women have become what researchers and ethicists call“therapeutic orphans,” reliant on drugs of uncertain risk, sometimes during the earliest and most vulnerable stages of fetal development. The problem goes back to efforts to protect women and babies from the kind of severe birth defects and other harm caused by thalidomide and other drugs in the 1960s and ‘70s — and pharmaceutical companies from legal liability for those injuries. Decades later, “pregnant women may be the most underrepresented group in the entire clinical research process,” a 2011 report by the National Institutes of Health’s Office of Research on Women’s Health declared. In a 2013 analysis, 95 percent of industry-sponsored clinical drug trials excluded expectant mothers; a mere 1 percent were designed specifically to study them. In the absence of reliable information, sometimes mothers-to-be and their physicians conclude the risks are too great and stop a medication that’s really needed, triggering an avoidable medical emergency that can do more harm than the drug itself. “If research is important to tell us when medications are unsafe, it is also important to reassure us when drugs are safe,” Faden and a group of women’s health advocates calling themselves the Second Wave Initiative argued in a recent manifesto. Not so long ago, doctors viewed nausea and vomiting of pregnancy (the medical term for morning sickness, abbreviated as NVP) as largely a psychological problem, at its worst a sign that a woman was so unhappy being pregnant she literally wanted to throw up her fetus. Now, the key culprit is believed to be the hormone human chorionic gonadotropin, which is produced in the placenta and surges through a woman’s body as the embryo begins its rapid growth. Studies suggest that some nausea is actually a healthy sign, with mothers who suffer from it less likely to miscarry or go into premature labor. But up to 2 percent of pregnant women develop hyperemesis gravidarum (HG), nausea and vomiting so serious it can require hospitalization — Charlotte Bronte is believed to have died from it. As with so much else about pregnancy, the long-term effects of hyperemesis are mostly unknown: “Because they see HG as a maternal disorder that lasts three months, they don’t fund the research for it,” said Kimber MacGibbon, founder of the HER Foundation, a patient advocacy group. Three decades before Zofran arrived on the scene, thalidomide seemed like an answer. The German drug was marketed as a sedative and sleeping pill. But it also eased nausea and was believed to pose no dangers to human fetuses — until women began giving birth to babies with severely deformed limbs. After thalidomide was banned in the early 1960s, doctors and women relied on a drug called Bendectin that had received FDA approval in the 1950s specifically for morning sickness and had a long track record for safety; still, lawsuits eventually blamed it for fetal harm, ranging from skeletal malformations to blood disorders and cancer. The claims proved to be unfounded, but in 1983, the litigation-weary manufacturer voluntarily yanked it from the market. For the next 30 years, there was no FDA-approved treatment for NVP. Pharmaceutical companies and regulators concluded that the best way to avoid injuring women and their offspring — and the resulting crush of lawsuits — was to stop doing research on all women. “The fear of bad outcomes in pregnancy led to this sort of general exclusion,” said Wood, the former FDA official. In 1977, the FDA issued formal guidelines stating that women of “childbearing potential” — i.e., anyone who had not gone through menopause or been surgically sterilized — could only be included in late-stage clinical trials, after the safety and effectiveness of a drug had already been established (a rule widely interpreted as “never”). Yet, widespread aversion to prenatal research persisted. The National Institutes of Health continued to categorize pregnant women as “vulnerable,” with a “questionable” capacity to give informed consent — in the same category as kids, prisoners, and the mentally disabled. Conducting research on mothers-to-be was complicated and costly, and women themselves were often hesitant to sign on. “We honestly haven’t really addressed the issue of actively trying to recruit pregnant women into clinical trials,” a research expert for the drug industry said in a recent interview, speaking on the condition of anonymity. A 52-page document by the Pharmaceutical Research and Manufacturers of America, outlining principles for conducting clinical trials and revised in 2015, doesn’t contain a single reference to pregnancy. Zofran’s introduction in 1991 occurred in the midst of this research vacuum. The drug worked by blocking the action of the chemical serotonin in the brain’s so-called vomiting center. It had been extensively tested on cancer and surgical patients, and on pregnant rats and rabbits. These studies showed “no evidence of impaired fertility or harm to the fetus,” the FDA-approved package insert said. But because animal studies are imperfect predictors of human toxicity and there were “no adequate and well-controlled studies in pregnant women,” the drug “should be used during pregnancy only if clearly needed,” the label added. Although doctors may decide to prescribe a medication for unapproved uses, it’s illegal for drug companies to encourage them to do it. In 2012, the U.S. Justice Department announced that GlaxoSmithKline had crossed the line. The DOJ case hit the news at a delicate moment. For years, reports in medical journals raised few concerns about the Zofran’s use in pregnancy, but they were small and frequently observational — hardly the scientific gold standard. By 2012, however, large-enough numbers of pregnant mothers had used the drug to conduct more meaningful analyses. 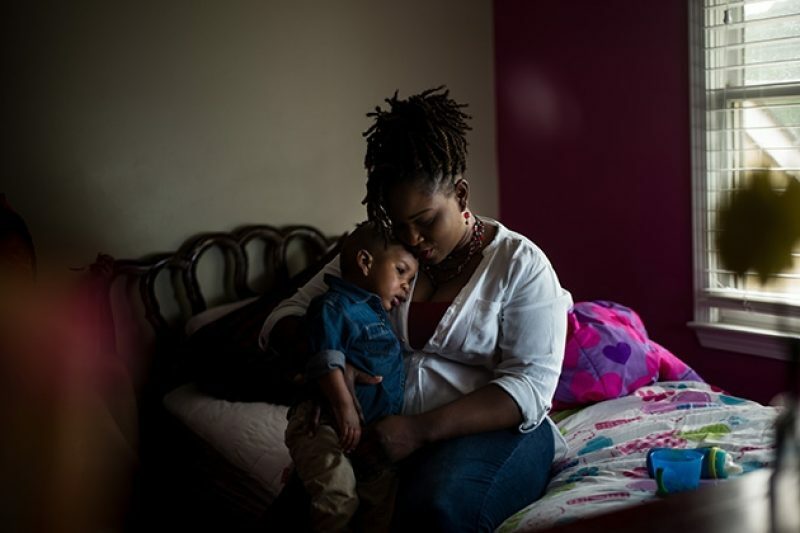 Researchers associated with the National Birth Defects Prevention Study found an increased risk of cleft palate in infants whose mothers had used ondansetron (a separate, unpublished analysis detected a “modest increased risk” of the type of heart problem suffered by Marquita Smiley’s son). Next came studies based on medical registries in Denmark and Sweden that tracked every pregnancy in those countries going back to the 1990s. One found no difference in birth defects between the Zofran-exposed and unexposed babies; another found an elevated risk — up to twice as high — of hole-in-the-heart defects. Among scientists, the inconsistent studies triggered calls for more research but no major alarms. Birth defects afflict 3 percent of babies, and heart defects are the most common among them. If ondansetron does harm the fetus, “It absolutely can’t be anything huge or we would have already seen it,” said Christina Chambers, a professor at the University of California, San Diego School of Medicine who is a leading expert on environmental exposures and pregnancy. Plaintiffs lawyers, though, thought they saw plenty of red flags. Over the next couple of years, they hired their own experts and began digging through everything from adverse-event reports filed with the FDA (more than 450 involving prenatal exposures), to the LinkedIn profiles of Zofran sales people, to obscure Japanese medical journals in which scientists working for Glaxo had published animal studies in the early 1990s. By this spring, parents had filed more than 200 lawsuits, alleging that Zofran caused heart defects, cleft palates, and kidney problems in babies exposed to the drug in utero; in a few instances, the babies died. Lawyers contended there might be many more cases but for recent U.S. Supreme Court rulings that make it almost impossible for consumers in all but a few states to sue for injuries if the medication at issue was a generic version of a brand-name pill, as ondansetron is for Zofran. One state whose courts did allow such lawsuits was Alabama — until legislators there rewrote the law in 2015. Marquita Smiley, who took generic ondansetron, filed her lawsuit last fall, just before the courtroom doors slammed shut. But plaintiffs’ lawyers argue that drug makers have a heightened responsibility to assure that medications likely to be used in pregnancy are safe — especially if they are used to treat a condition as common as morning sickness, and if they are marketed off-label. Under Alabama law, a woman who uses illicit drugs while pregnant can be arrested, prosecuted and stripped of her parental rights — even if she was just using marijuana to treat her morning sickness. Smiley’s agency, the state Department of Human Resources, is the one often called upon to investigate allegations that pregnant women and new mothers have chemically endangered their babies. Smiley doesn’t handle those kinds of cases, but she knows irony when she sees it: A woman could face 10 years in prison for endangering her unborn child with drugs, while a huge corporation could put children at risk with a drug that’s never been approved for use in pregnancy.“It’s crazy,” she said. 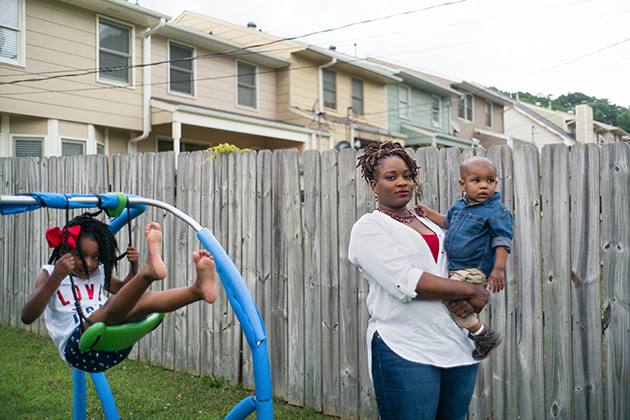 In Alabama, anti-drug fervor and abortion politics have turned a meth-lab law into the country's harshest weapon against pregnant women. Read the story. With so much to worry about, she hasn’t been paying much attention to the lawsuit. Glaxo lost a bid earlier this year to have the cases dismissed, and now the litigation is in its discovery phase: “GSK has to put all its cards on the table and say … ‘This is everything we knew,’” attorney Don McKenna said. The latest research has not gone in the plaintiffs’ favor: A new study looking at birth outcomes in more than 1,000 women who took Zofran or ondansetron for hyperemesis suggested that HG itself, and not the drug, might be to blame for birth defects. Back in Washington, D.C., there has been quiet movement on the larger issue of research and pregnancy. Bipartisan bills introduced this spring in the Senate and the House of Representatives would establish a task force on research specific to pregnant women and (in the case of the House legislation) require annual updates from the FDA. The FDA is scheduled to issue its own draft guidance entitled “Pregnant Women in Clinical Trials — Scientific and Ethical Considerations” later in the year. The agency also has approved a new drug for morning sickness called Diclegis — basically, the long-abandoned Bendectin under a new name. Last year the American College of Obstetricians and Gynecologists revised its practice bulletin, urging doctors to prescribe Diclegis as the first line of defense against NVP and ondansetron only after weighing the benefits against the risks. But Diclegis is less powerful, more costly, and Smiley and her lawyers believe women are still being given ondansetron out of habit.